Stock up on home essentials at Safeway and you’ll save some dough. 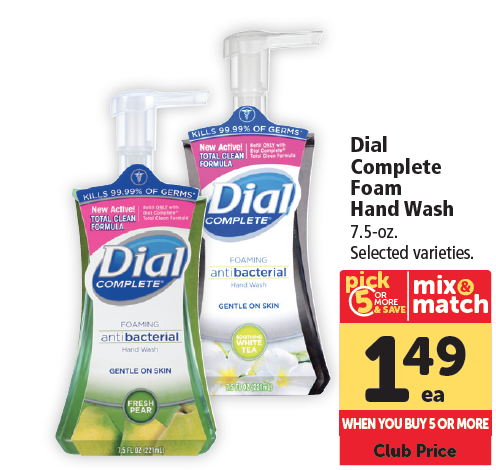 Head over and pick up 2 bottles of Dial Complete Foaming Hand Wash on sale for $1.49 each when you participate in the Pick 5 (or More) & Save sale from February 6th – 12th. 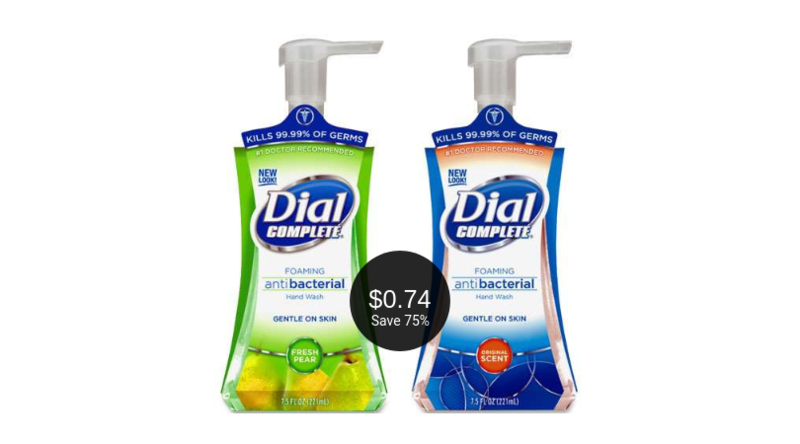 Pair the sale with a new $1.50 off 2 Dial Foaming Hand Wash printable coupon which drops your final price down to just $.74 each. That’s going to save you 75%! Final price = $0.74, save 75%! Can you print/use 2 coupons? I would love to stock up on soap with a baby on the way.